Letali Linetzky is a great Argentinian artist who has increased her popularity with a fantastic face of Messi made with hair clips. 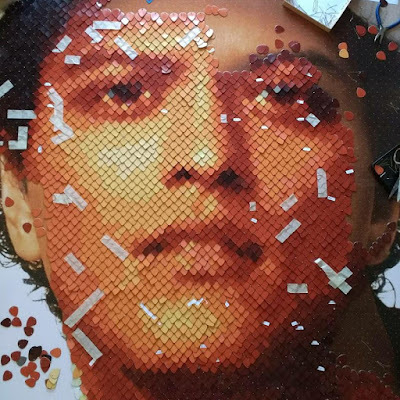 Now she surprised us again with a new work that honors a music star: Bruno Mars. The social debate surrounding the legalization of abortion project not only focused on the health and autonomy of women and pregnant people. He also opened the discussion on the role of the Catholic Church in the crusade against legal abortion and in the lobby that ended with the rejection in the Senate. In recent months, the Federal Campaign for the Separation of the Church of the State, which was born out of the Argentine Coalition by a Lay State, gained strength. On August 8 during the mobilization of two million people in the city of Buenos Aires they made a collective apostasy. The initiative consisted of filling together the papers of the interested parties to deliver mass resignations to the Church. In a few hours they filled 2,000 forms. In Rosario a group of young people, of which Agustín is a part, replied the initiative. This week they delivered the first 30 applications to the local Archdiocese. They already have 50 more orders and they keep coming together. In a month they will make a new delivery. The Federal Campaign for the Separation of the State Church has the orange and black handkerchiefs as a symbol and fighting garb. Although oranges predominate, black is used by those who prefer not to repeat the color used by the Church against the law of equal marriage. In addition to the collective apostasies, the Campaign works on the drafting of a project to modify the National Constitution and for Argentina to stop funding the Catholic Church. Currently the law says that bishops and archbishops must collect 80 percent of the salary of a judge of first instance. To that is added the rest of the clerical posts, the financing of religious colleges and organizations linked to the Catholic faith. The student published the threat through the Facebook of the Institution. The young man had already entered the school with a gun and even triggered himself. He had been expelled last year. After a new massacre at a school in the United States and after a threat on social networks, the community of San Juan Bautista school in Florencio Varela (Buenos Aires, Argentina) is terrified. A young former student who was expelled last year for bad behavior in addition to having entered the institution with a weapon and even triggered the head, now made a very serious threat on the Facebook of the institution. "Prepare for the greatest school massacre of all time. 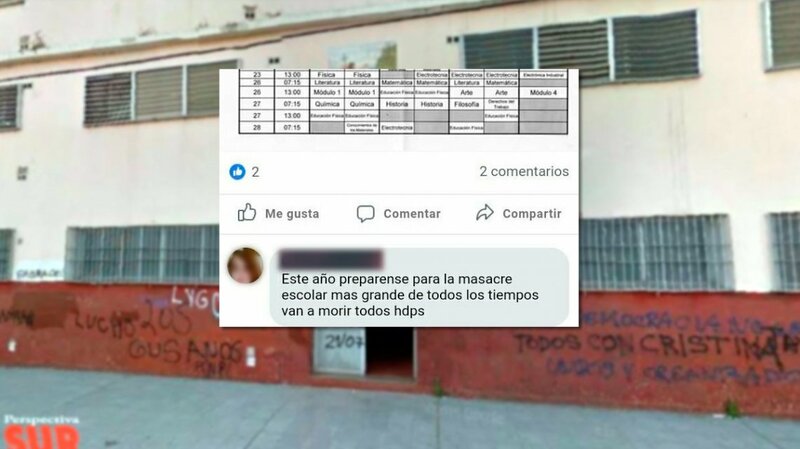 All motherfuckers are going to die", said Lautaro Centurión in a publication made by the school in their facebook page.